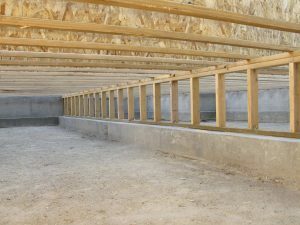 A crawl space is an important, yet often neglected part of your home. Many people do not pay any attention until odors or decaying material spreads inside their home or the house is being put on the market. Letting damage inside a crawl space spread will only amount to a much more costly repair down the line. The Killers Crawl Space Restoration offers comprehensive crawl space repair in Wilsonville and the surround cities. We have been restoring crawl spaces since 1991. We are a trusted, locally-owned company with hand-picked crawl space professionals who have the expertise to handle any type of crawl space repair. Call today for an inspection and keep your home safe from crawl space damage. Why do homes need crawl space repair? Crawl spaces need to maintain a specific balance in ventilation to stay in good shape. Over time, many factors begin to break down that delicate balance and moisture begins to build. Here are some of the factors that can impact the health of your crawl space. How can a crawl space affect your home? 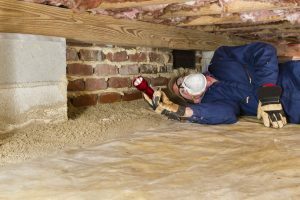 Many homeowners do not understand the impact an unhealthy crawl space can have on the home’s structure and even the air quality within the home. Here are a few of the ways delaying a crawl space repair can wreak havoc on your home. Mold and mildew can get into the home’s airways, complicating allergies, respiratory issues, and causing other health problems. Mold holds moisture to wood and decays it, creating the need for expensive foundation repair. Bacteria from insects and vermin can be carried inside the airways of a home where they pose another health threat. Wood eating insects, such as termites and ants can take hold and spread costly damage throughout the structure of a house. Having torn-up or insufficient insulation allows drafts and temperature leaking that amounts to more expensive utility bills. Animal activity—and even dead animals—in the crawl space can create a terrible odor detectable from inside the home. Torn or missing insulation makes your home less energy efficient and increases your utility bills. Our experienced professionals can remove damage, clean, and restore any crawl space. We carefully take away soiled materials safely so no mold spores are spread and the materials are responsibly disposed of. We can replace vapor barriers, insulation, and damaged building materials. We handle pest control and seal up the openings when we’re done, allowing airflow through while keeping out rodents and vermin. 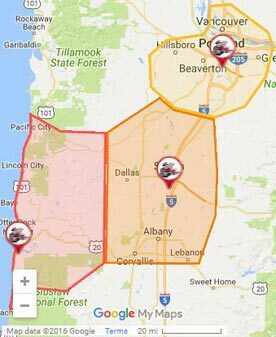 Call today for your crawl space repair in Wilsonville and the surrounding areas. We can get to you quickly with an inspection and reasonable estimate.